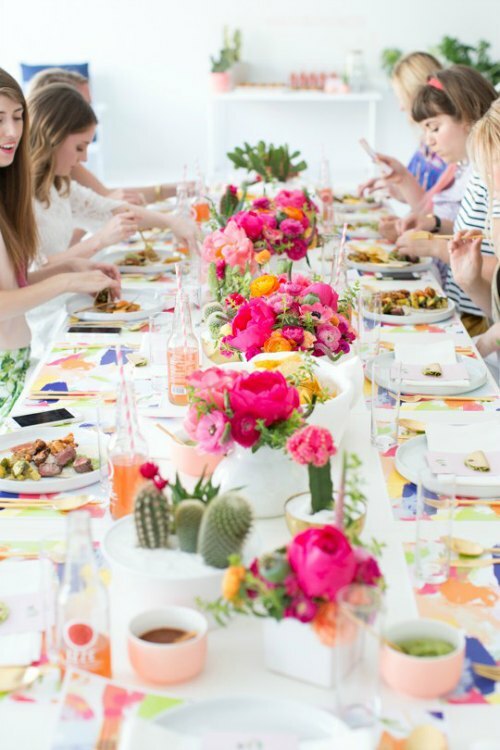 I love this cute Cinco De Mayo party! Those colored cake plates are just darling! 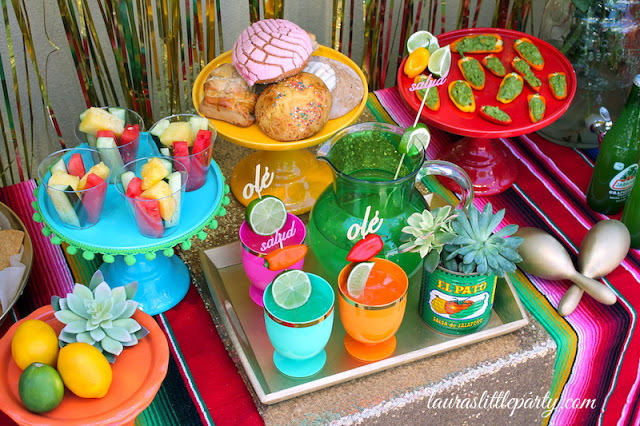 This Fiesta birthday party is so beautiful!! would be so much fun to make and wear! 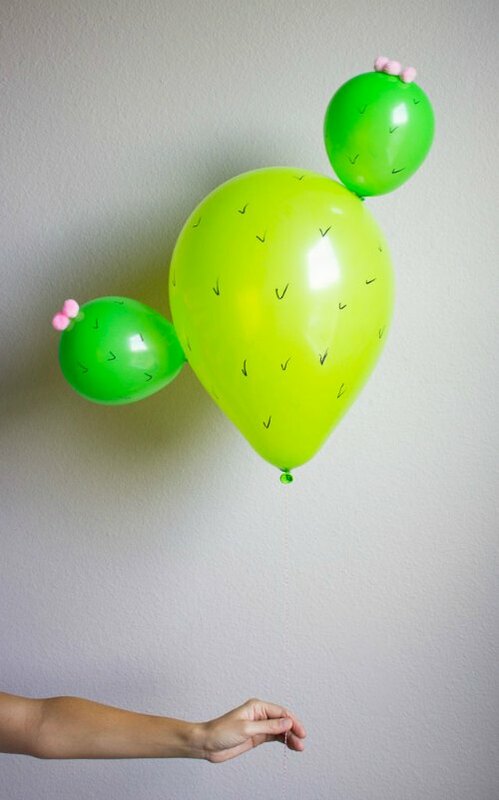 These DIY cactus balloons would be a hit at any party! 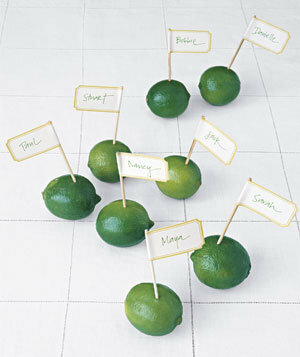 Lime place cards would be so cute at a table! 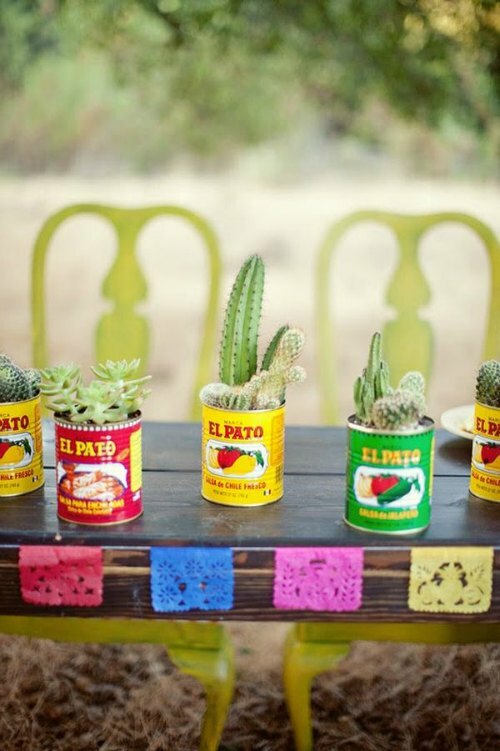 I love the ideas of cactus in colorful cans at this fiesta wedding. 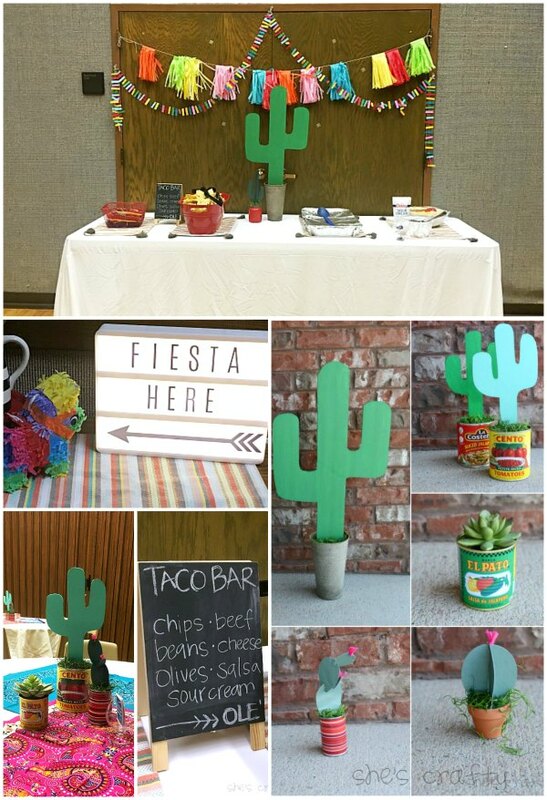 through a taco themed party at my church. 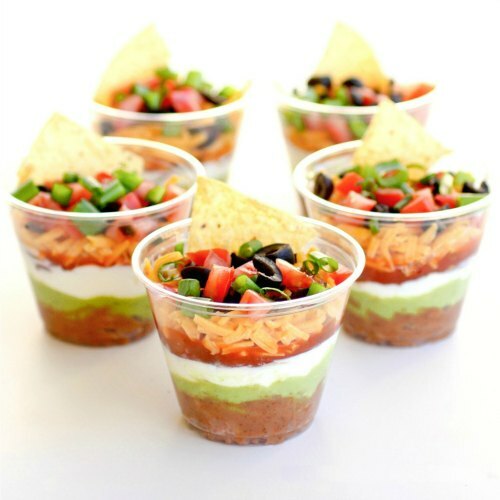 I love the idea of individual 7 layer dips. These walking tacos are such a good idea to feed a crowd! 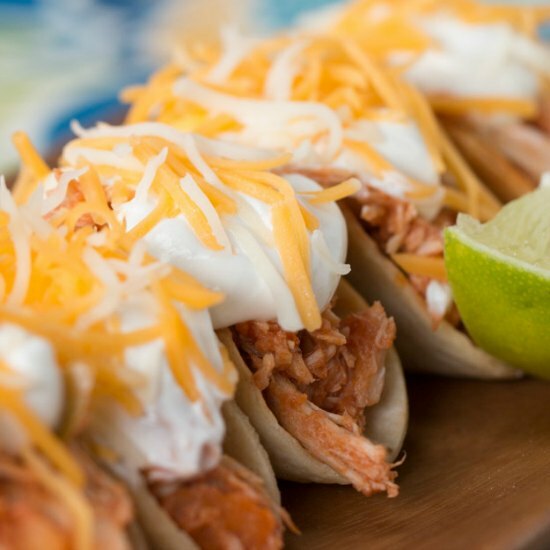 Are you going to celebrate Cinco De Mayo? I'm obsessed with all of your decor! 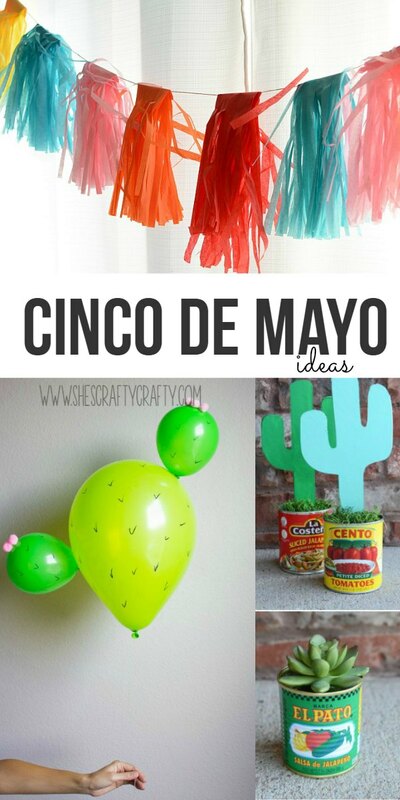 Those cactus balloons are just too stinkin cute!! Great ideas! 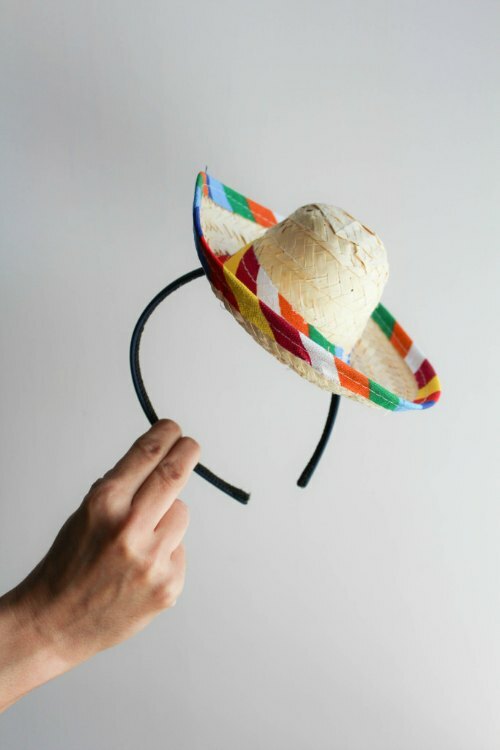 I think my favorite is the sombrero headbands. My girls are obsessed with headbands these days. This is adorable!! Wow- can you come do a party at my house? Lol The colors are stunning! OMG this is SO cute!!! 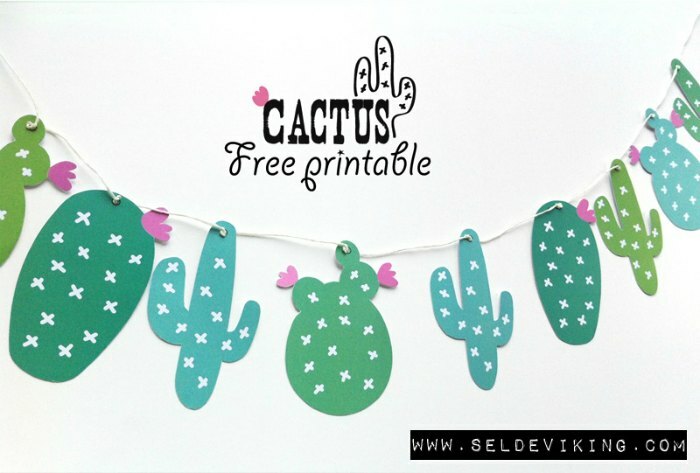 I love the cactus drawn on balloon idea! so simple but SO cute! The balloon idea is THE cutest thing ever! That cactus balloon is so adorable!! haha. Oh this stuff is just too adorable. I never celebrate Cinco de Mayo but you have inspired me to get into the idea. Love love love. 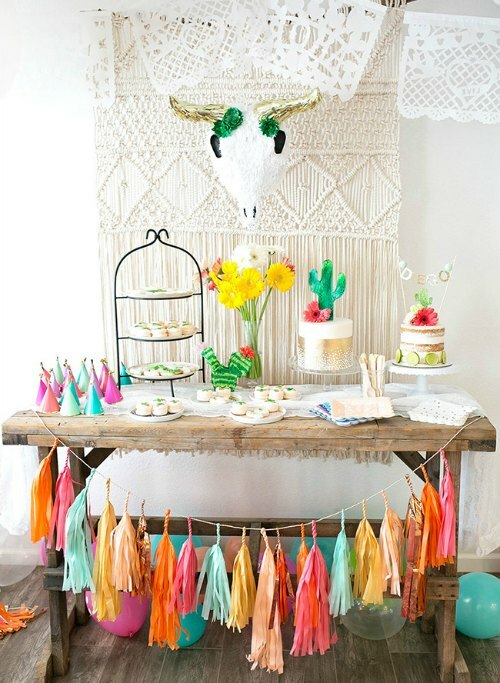 These decorations and ideas are so fun! I love the headband with little hat! I will have to try making some of these for today! Love these! The cactus balloon is hilarious!